Open access to national and international researchers. 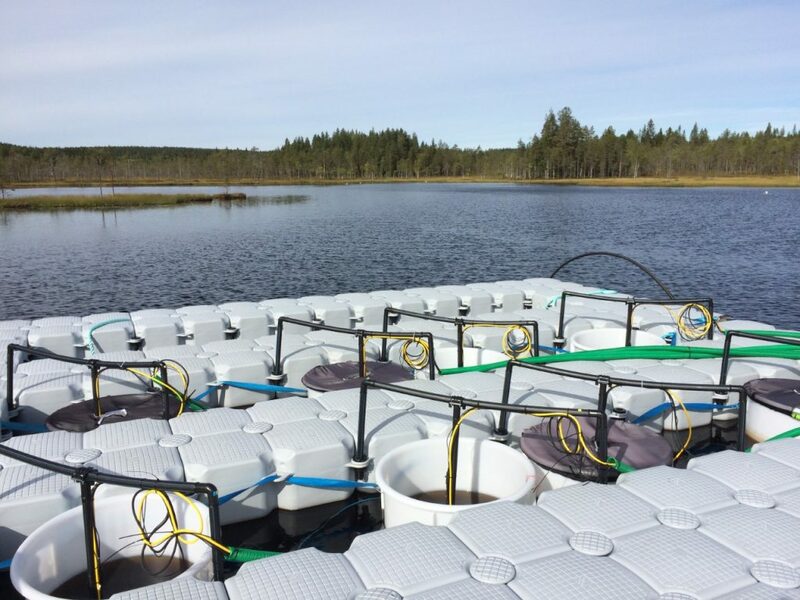 Outdoor, freshwater, deployed in an adaptable jetfloat, placed in lake Stortjärn, 2,5 km from the research station. 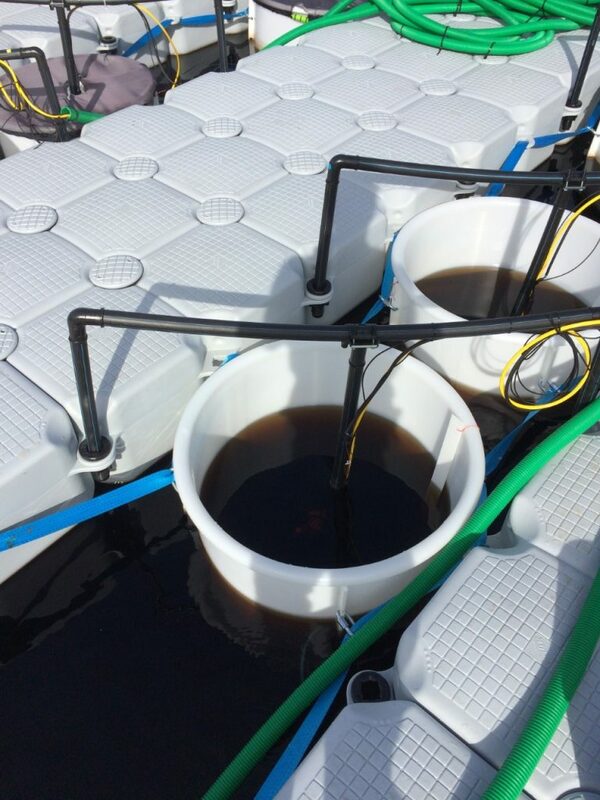 Advanced general understanding in ecology by using modularized experiments across SITES-AquaNet stations (Sweden) or potential collaborators (Sweden, Europe and other continents). Topics: Forest stand development, plant physiology, systemic water transport, forest management strategies, nutrient limitation, biodiversity-functioning-stability relationships, community ecology, biogeochemistry, atmospheric flux, global change research. On-site climate data, incl. temperature profile measurements. Apogee SQ-500 (PAR), CTG Trilux fluorometer (chlorophyll-a, phycocyanin and turbidity) and Aanderaa 4531 optode (O2 and temperature) sensors fulltime deployed in each enclosure, deployed with a Campbell CR1000 datalogger and an AM16/32B multiplexer (https://www.campbellsci.com). The datalogger has an ethernet interface for remote access through a mobile broadband router, for maintenance and data retrieval. Surveillance camera mounted for remote monitoring of the site. An AP-2000 AquaRead Multiprobe (http://www.aquaread.com/portofolio/ap-2000/) equipped with a chlorophyll sensor, and an Apogee MQ-500 (PAR) sensor with handheld meters. Laboratory for filtering and extraction of samples for a wide range of analyses, cold storage and freezing rooms are available at the research station. Connection to laboratories for analysis at the SLU Stable Isotope Laboratory (http://www.slu.se/ssil/), the Erken Laboratory (http://www.ieg.uu.se/erken-laboratory) and Umeå University. Accommodations at the field station itself are currently under construction. Rooms for rent at Hotel Forsen (6.3 kilometers from the station) and Hotel Vindelngallergian (7.6 kilometers from the station).